Just noticed the same when I ran the Daz History Manager. I reset a couple of items but found no Poser Companion files. 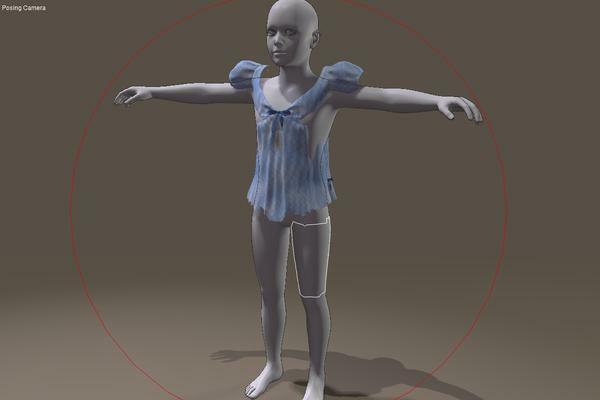 We have updated the DSON Importer for Poser and resolved this issue as well as a couple others. Which is leading to this thread, so this is the official continuation of the official thread. New because of the update of the DSON importer. To circumnavigate the no quote problem: copy / paste the text to an answer here and use the "quote" formatting. I am afraid Daz had the brilliant idea to use the title of the category (Genesis + Poser) to add everything that is Poser compatible. Er ... that would mean most of the store, wouldn't it? At least three quarters, wonder who came up with that one? And what they were thinking at the time. The Epic Wings and Stephanie 5 were never Poser compatable and definietely need the PCF to work. I have also noticed that most of the stuff that showed up yesterday in the genesis poser category is gone. Yes, it was a mistake, hopefully all the incorrect stuff has been removed. By the way: if you download Taozen's newest version of the Dazhistorymanager: it can search your order history for DSON updates. Well - at least the mixup was cleared. Now they just have to make the page readable again. I purchased the Michael 5 Pro Bundle which included BOTH shaved and un-shaved body MATs for Phillip. However, when I download and install the Michael 5 Pro Bundle Poser Companion files, only the shaved version of Phillip is included. How can I get the Poser Companion files for the Michael 5 un-shaved Phillip MATs? 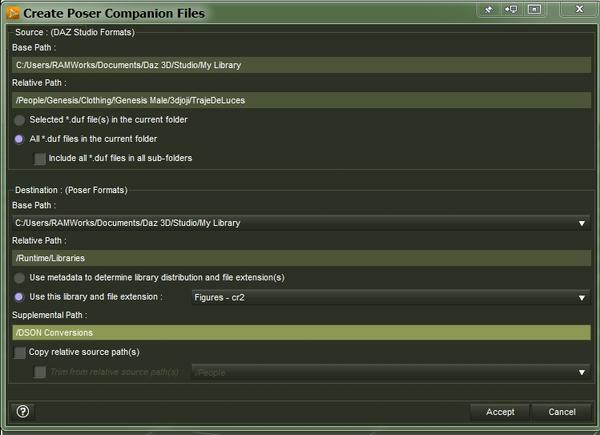 In the upper right corner where it says Project, choose "Content Products"
If it's a bug it spans more than one person. I've only got the unshaven Phillip texture as well. 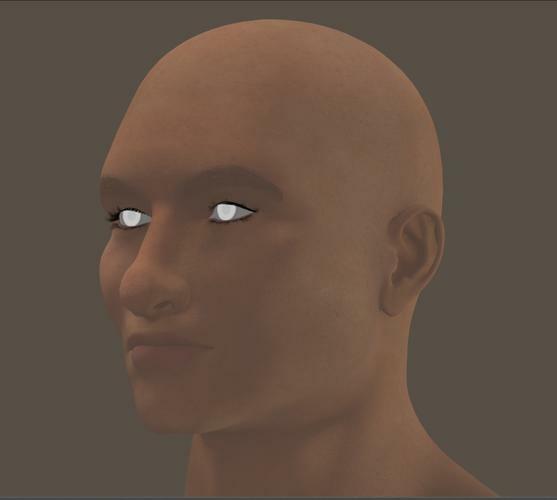 With NO tat option anywhere, and there's none of the textures for the face for various forms of scruffiness. I think that was the point Sunfire was making by saying, "it sounds like a bug". Does anybody know if the Genesis Face & Body hair will work with this? Have Studio & can make my own Poser Companion Files if any don't come with. Ran into a snag. Made the Poser files for Bruno for Poser using the script but two things... In Poser, Genesis is loading up green.... that seems odd. I added the My Library Runtime and all the stuff shows up but when I double click on the Bruno Smooth body MAT something happens but nothing changes. In the Material Room he's still green and there is no indication that there are texture maps in place. HELP? So are there any tips for a successful conversion and import? The user guides are pretty obscure (a. is it obvious where any content is located in the libraries? b. when instructed to replace metadata, there's no information on where the existing metadata might be nor on where NEW metadata might be located, nor why this step is even required), plus the entire process is unbelievably ponderous - why wasn't this designed to simply allow the user to click on an item, or better yet, an entire folder, and when choosing to create Poser files, it goes through and does what needs to be done, rather than having the user first figure out where the assets are, save each model separately as a DUF file that they have to figure out the correct name of (the instructions say this should be prefilled, but all that is there is an unchangeable filetype of DUF and no previous filename), and then run the conversion script? I realize that beggars can't be choosers, but surely, in the interest of retaining customers and attracting new ones, someone thought that maybe it would be good to test this with real users and real content to see if it made any sense, and if it made anything useable in the end? I may be wrong but I clicked the second radio button to bypass the metadata request since my Bruno has no meta data as of yet. If it's a figure then choose the cr2 option in the drop down list since it's a clothing item and try that out. Did you try to use the "Transfer Active Morphs" from the python menu once you set the figure the way you wanted? Conforming to different shapes is not automatic in Poser. Also, you can convert items by directory, but yes you do have to make sure the files are in DSON format before you do. I don't know if this has been mention already, but I did a manual conversion of "Four Arms for Genesis" and although it works great in Poser, bending, morphs and all, I can't turn off subdivision for the arms. I tried both the script and setting the value manually in the parameters, but the geometry remains sub-divided. It turns on and off for Genesis, but the arms settings remain unchanged. Notice also that the over all render looks very faded out like he's in fog or something? Not sure about the eyes except for maybe looking in the material room to see what they're doing. The faded look is the gamma correction, go into the render settings and uncheck gamma correction and you'll get a non-faded Bruno. Thanks... OK, turning the Gamma all the way off produced some strange artifacts so put it back on but set it to 1.00 and that seems allot better. Eyes are no longer washed out either. Hmmm, I use a reflection map for the Cornea which produces a pretty natural reflection in DAZ Studio but in Poser it's what's causing the eyes to wash out. Not sure how to resolve this. Can someone post some instructions on how to make a nice reflective setting for the eyes without using the Cornea that will translate between both programs? I don't mind redoing the eye settings. Skin looks fine now but the eyes are important, esp in close ups... Thanks! Python is used in a lot of "proper Poser products" too, and besides, I've had no problems whatsoever with the DSON Importer or its files so far. Why are you moving the files around anyway? I have my Poser runtimes organized, and I have often moved things around too, but I wouldn't touch these new DSON files until I had a better understanding of how everything works and what can and can't be moved. What I do if IF you must move anything do that BEFORE you invoke Poser or DAZ Studio, so the new meta data is stored properly. Seems to have worked fine for me in this way. Keep in mind folks, this is all very new. baby steps so gotta be patient. Yea, we all feel like beta testers... that's just the way it is! lmao!